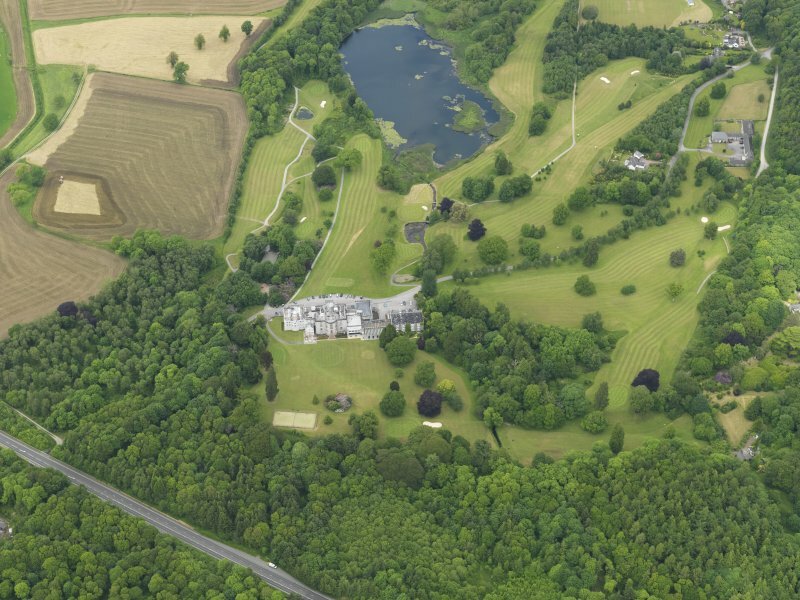 Oblique aerial view of Cally House, taken from the SE. 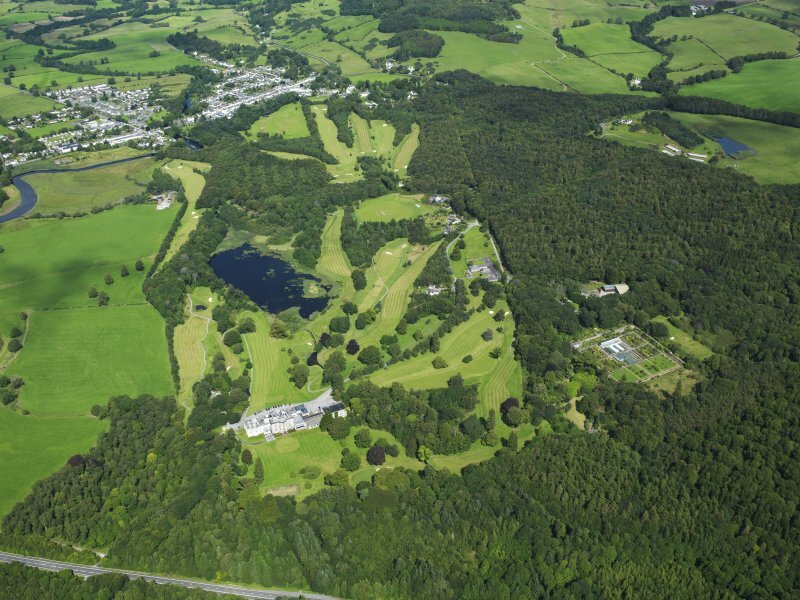 General oblique aerial view of Cally House and policies, taken from the S.
General oblique aerial view of Cally House and policies, taken from the SW.
General oblique aerial view of Cally House and policies, taken from the SSW. 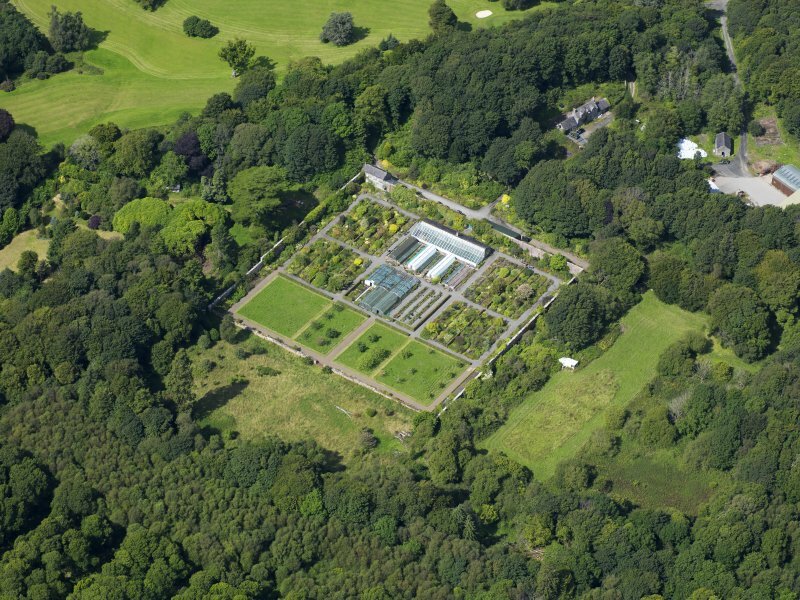 Oblique aerial view of Cally House walled garden, taken from the SE. 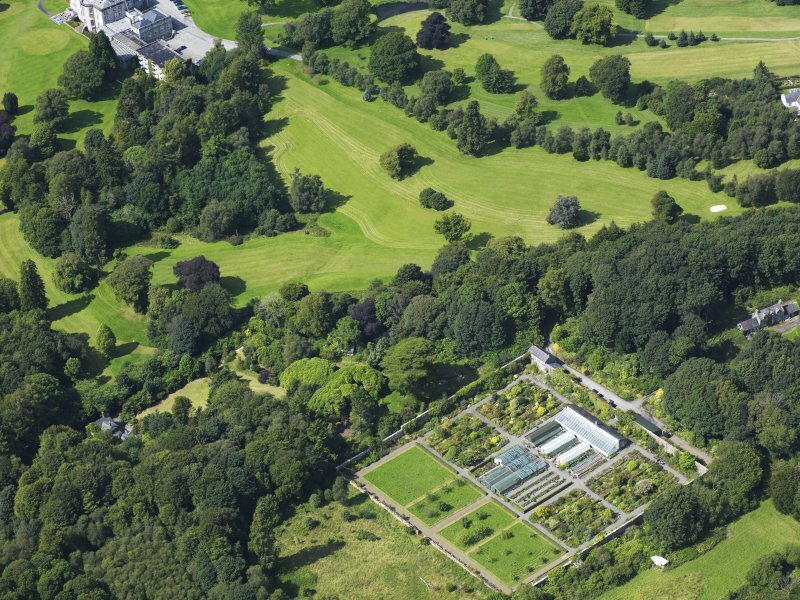 Oblique aerial view of Cally House walled garden, taken from the ESE. 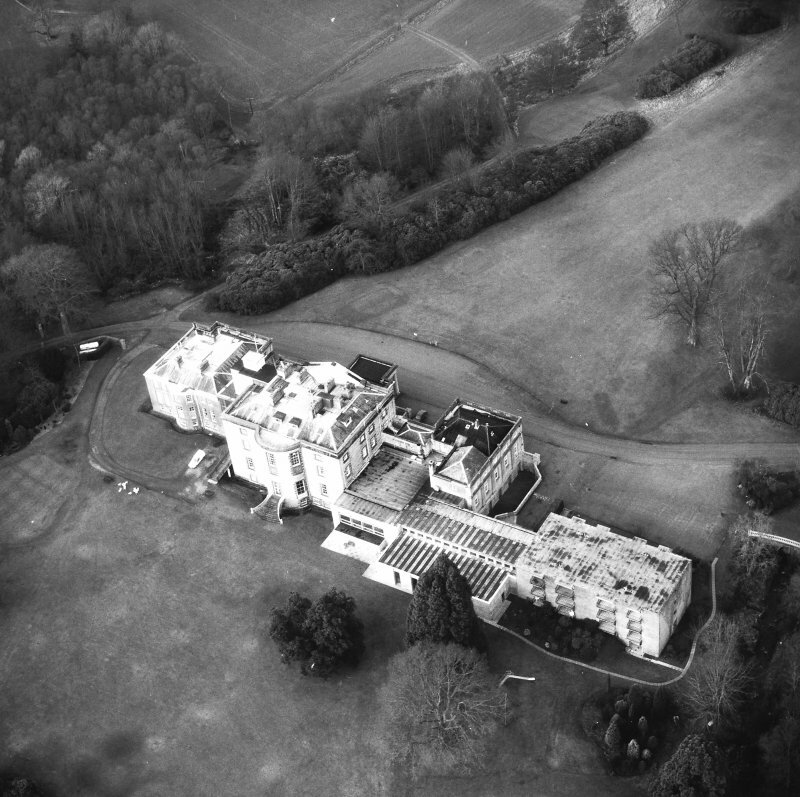 Oblique aerial view of the Temple, taken from the N.
Oblique aerial view of The Temple at Cally, taken from the E.
General oblique aerial view of Cally House and policies, taken from the WSW. 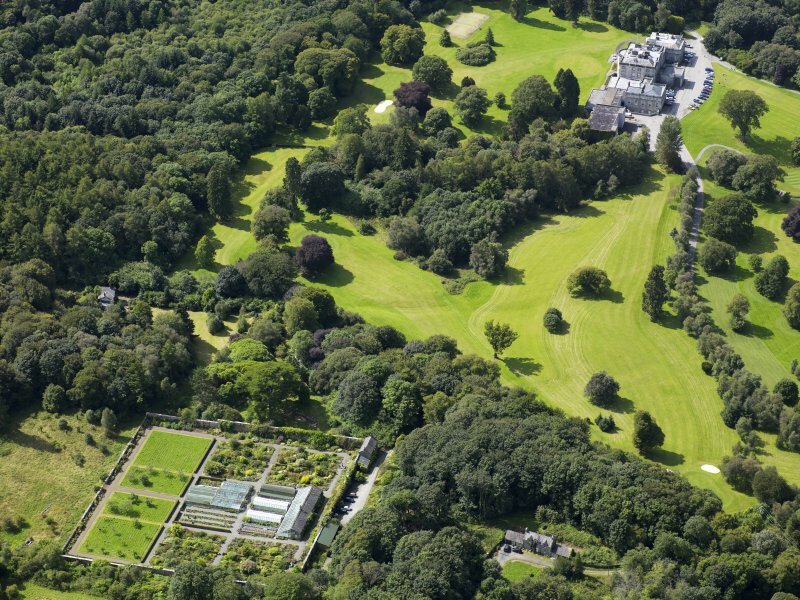 Oblique aerial view of Cally House and walled garden, taken from the SE. 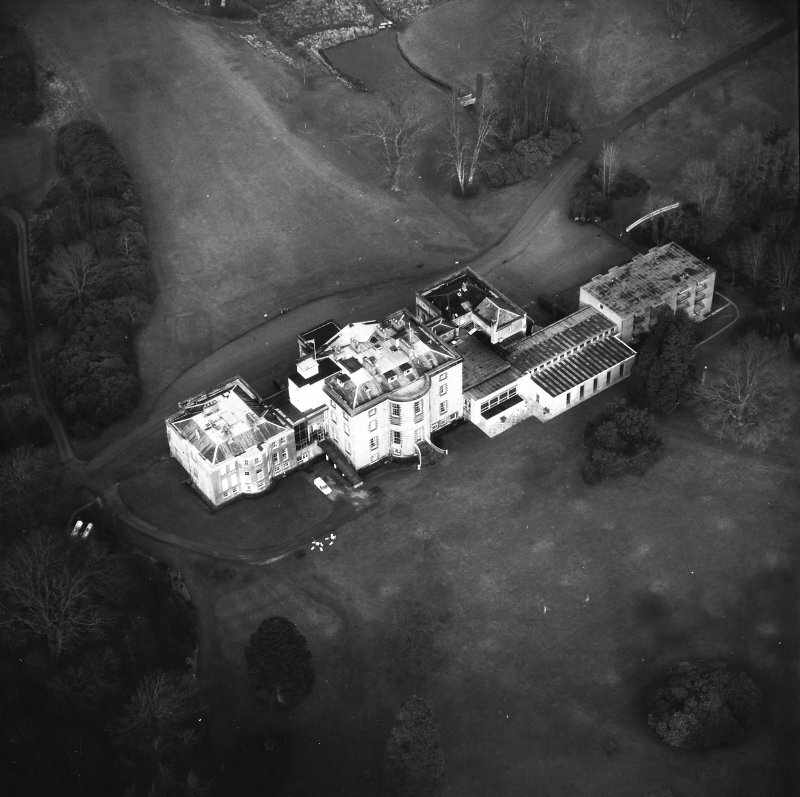 Oblique aerial view of Cally House, taken from the WNW. 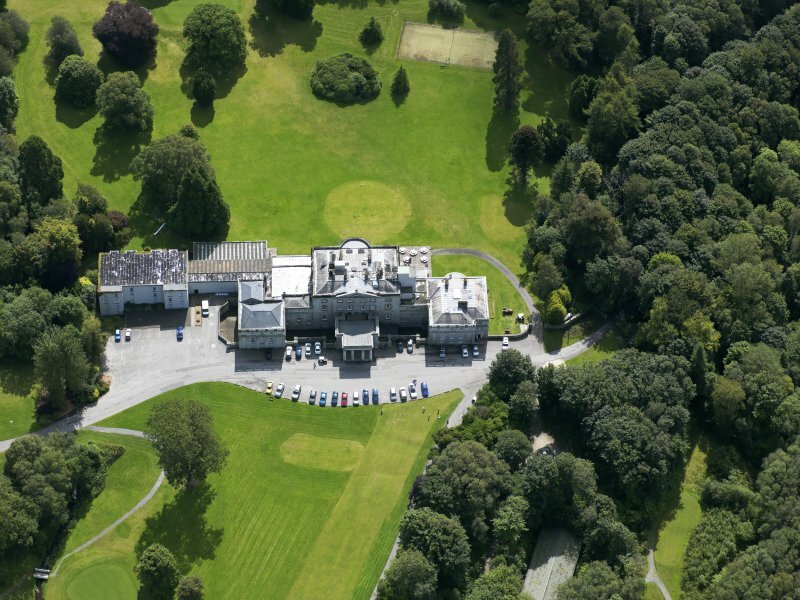 Oblique aerial view of Cally House, taken from the SSW. 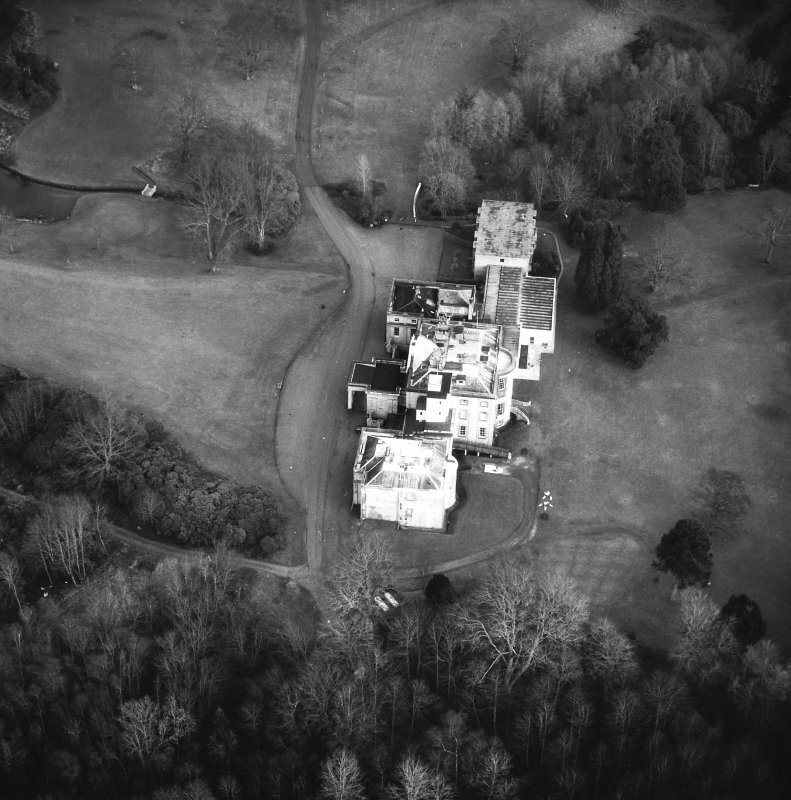 Oblique aerial view of The Temple at Cally, taken from the S.
General oblique aerial view of Cally House and policies, taken from the SE. 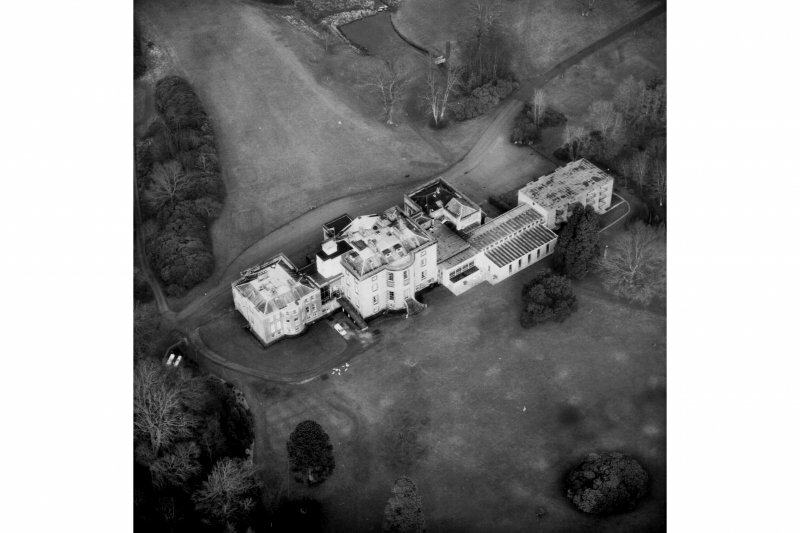 Oblique aerial view of Cally House, taken from the NNW. 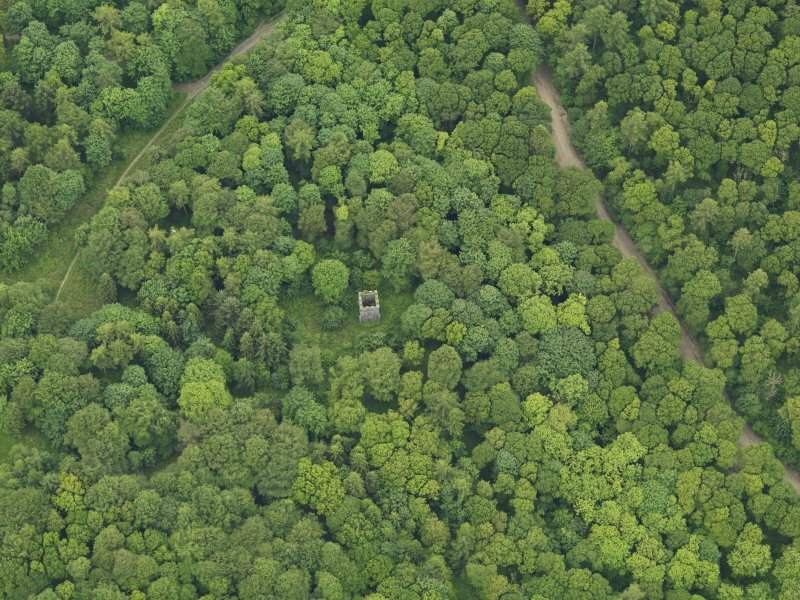 Oblique aerial view of The Temple at Cally House, Gatehouse of Fleet, taken from the NE. 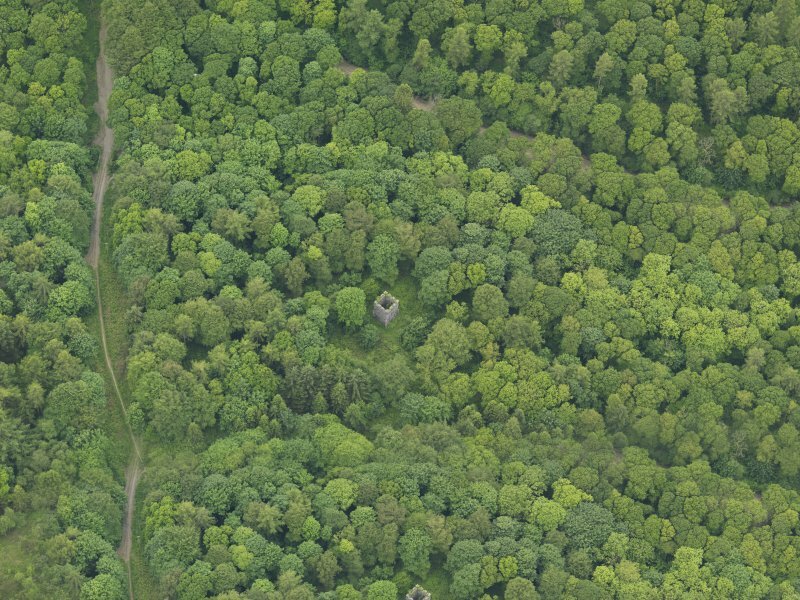 Oblique aerial view of The Temple at Cally, taken from the SSE. Cally Palace spans 2 map sheets : NX55SE and NX65SW. Information from RCAHMS (LKFJ), Feb. 2002.
of proposed house. A letter accompanied the sketch. Cally and the settling of the Architect's fee. Catalogue of Sale at Cally House. William Adam and James Naysmith. Letter concerning architect's fee etc. the architect and has shown his intelligence'. 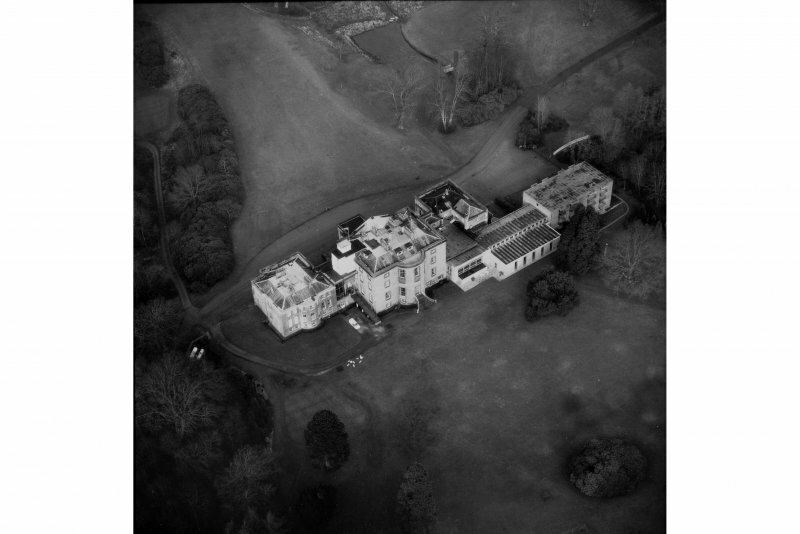 Photographic survey of the exterior and interior of Cally House, Kirkcudbrightshire, by the Scottish National Buildings Record in 1956. The title of palace, though only recently conferred, well suits this stately neo-Classical mansion. Designed and built between 1759 and 1765, it demonstrates tangibly the rise in the landed fortunes of the Murrays of Broughton. 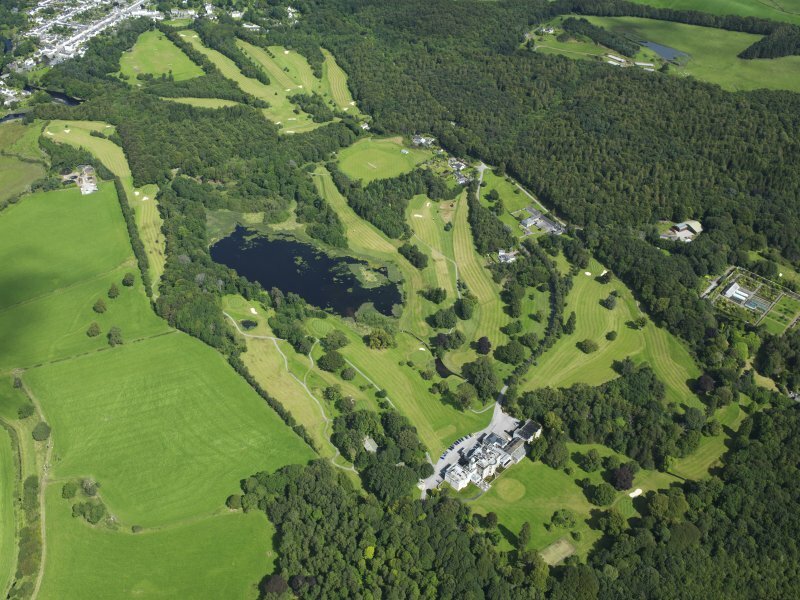 Marriage to a Lennox heiress brought the Cally estate into the possession of Richard Murray (d. 1690), and each of the next two generations married into the family of the Earls of Galloway, their near-neighbours in Wigtownshire. The mother of James Murray (d. 1799), builder of this mansion and Broughton House in Kirkcudbright (no. 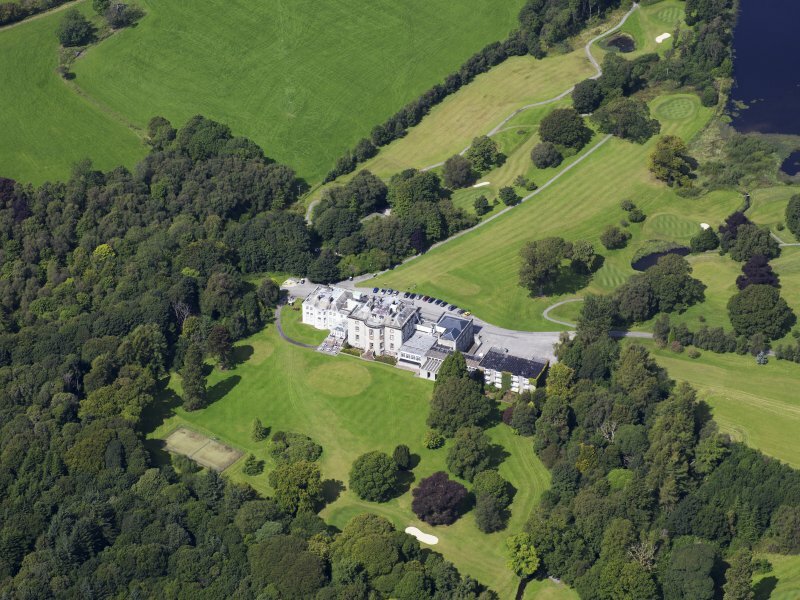 14), was daughter of the 5th Earl, and his wife was his first cousin, daughter of the builder of Galloway House (no. 24). 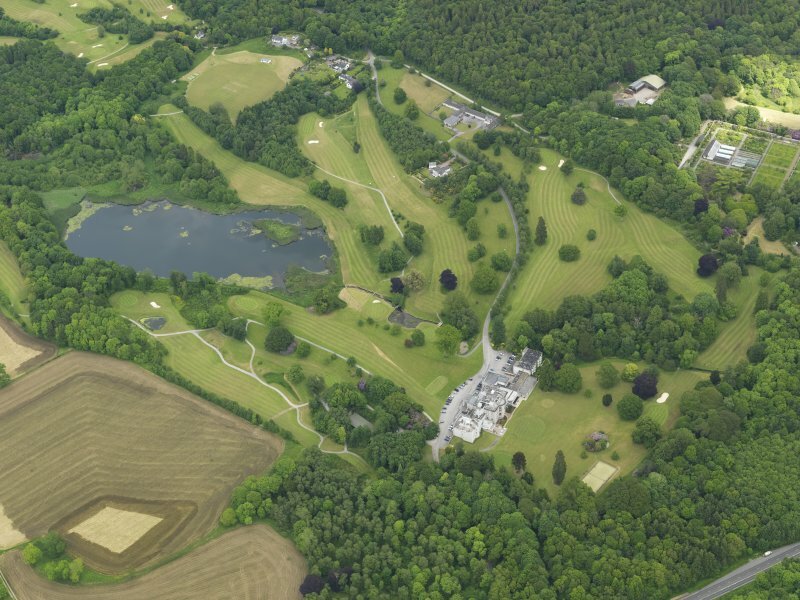 No doubt affected by the activities of his in-laws, Alexander Murray (d. 1750) toyed with schemes for a new house and garden prepared by William Adam in about 1742; however, only the flanking pavilions were built, later to be removed. The recommendation of the youthful Robert Mylne as architect must have been made by James Murray's brother-in-law, Lord Garlies (later 7th Earl of Galloway); his role as intermediate patron is borne out by the fact that in 1759 Mylne's draft designs were sent from Rome to him, not direct to Murray. Mylne's commentary shows the staffmg requirements of a great house, and reflects the hirearchy of contemporary society. The lowest floor 'holds the kitchen and all the nauseous places that should not be seen or smelt by company'. On the ground floor, the main public rooms (a dining-parlour, grand diningroom, and drawing-room) were centred around a great hall. The bedrooms were on the fIrst floor, the nursery and some guest bedrooms shared the second floor with the rooms of the principal servants, whilst the garrets were set aside 'for the lower servants'. As was later claimed, the house was probably the first in southern Scotland to be built of granite ashlar masonry, probably from Kirkmabreck. The design was unusual in having a 1-2-2-1 rhythm in the fenestration, which disguises the effect of the broad 4-bay pedimented centrepiece. 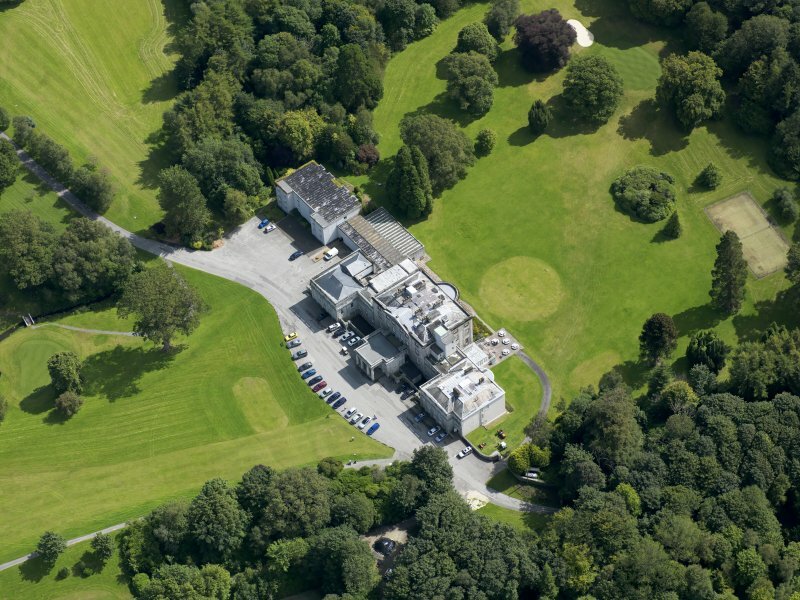 In 1794 the linking corridors and pavilions were raised one storey higher in harmonious style by a local architect, Thomas Boyd. The most substantial alterations, however, were those executed in 1833-7 for James Murray's natural son, Alexander. 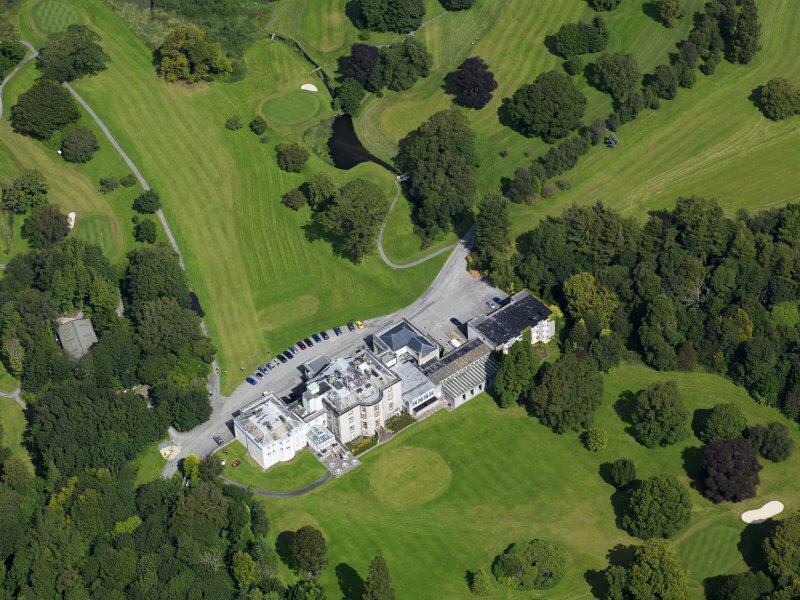 The architect was John Buonarotti Papworth, who was also employed by Murray of Broughton at Killybegs in County Donegal. The portico and marble lobby which he added to the front of Cally excited much comment; William Henry Playfair was impressed, but Lord Cockburn was 'disappointed . . . The marble lobby is new in Scotland, and beautiful. But for a thing of the kind, it is too little and far too fme for a mere common lobby . . . The factor told me that the whole marble of this lobby was cut, and polished, and put up by a common workman from Whitehaven'. He later recanted, declaring that 'on the whole, it is a beautiful portico; and Papworth's taste may be observed in all the internal details'. 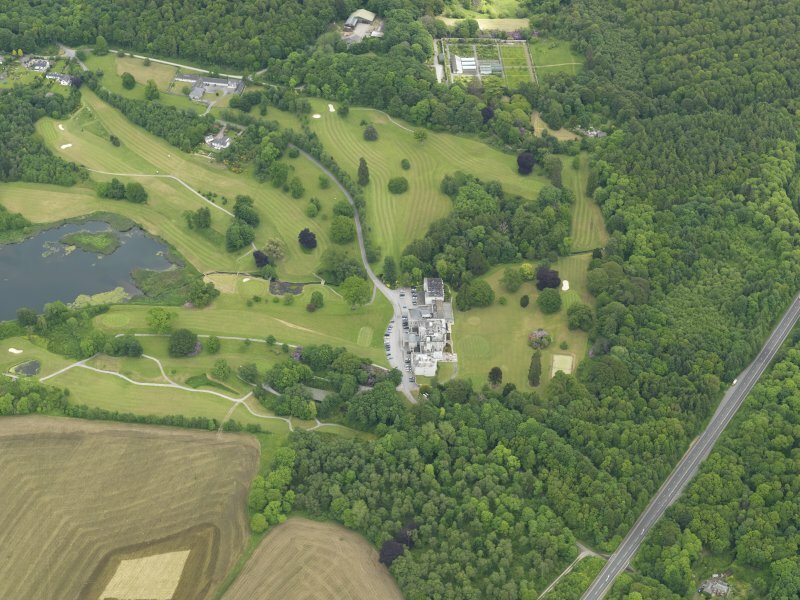 Even Lord Cockburn was prepared to admit to the beautiful natural setting of the house, 'one of the finest in Scotland'. 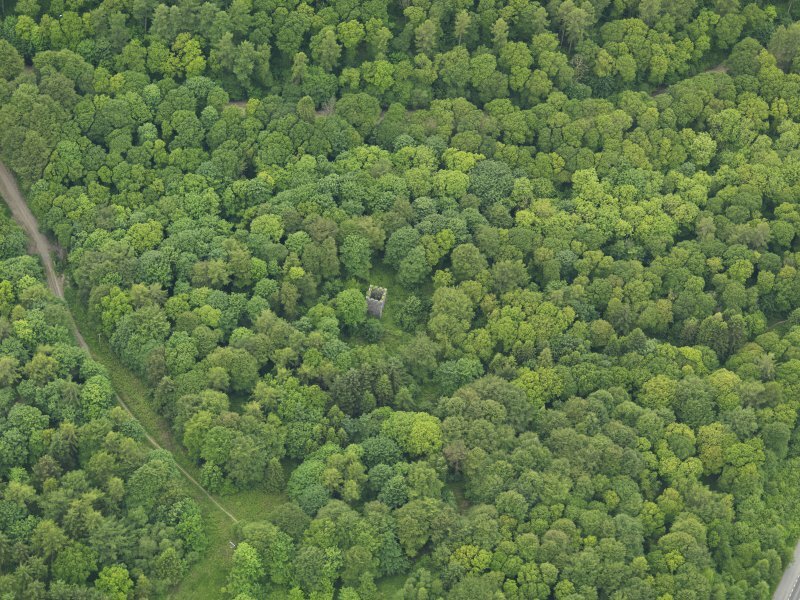 Work on the pleasure grounds in about 1788 included the building of a small two-storeyed garden pavilion in the form of a Gothic temple, which now stands ruinous in forest plantation (NX 606543). 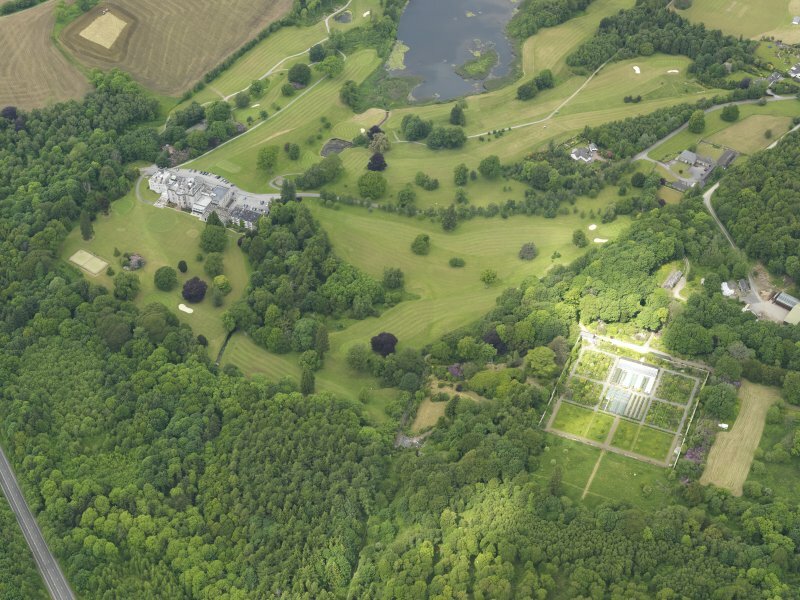 In addition to a walled garden, there were extensive orchards, and, about 1km south of the mansion, a well-stocked deer park (NX 5953). 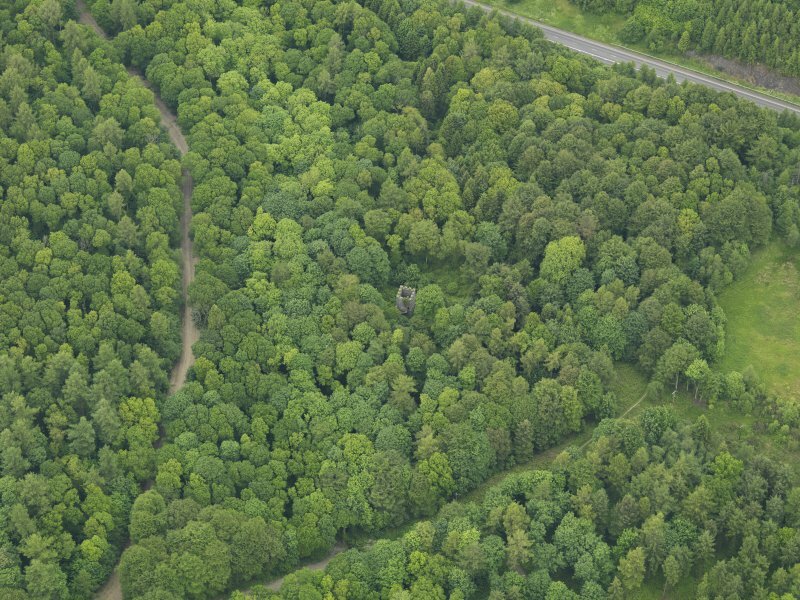 The landscaped policies were planted with trees. 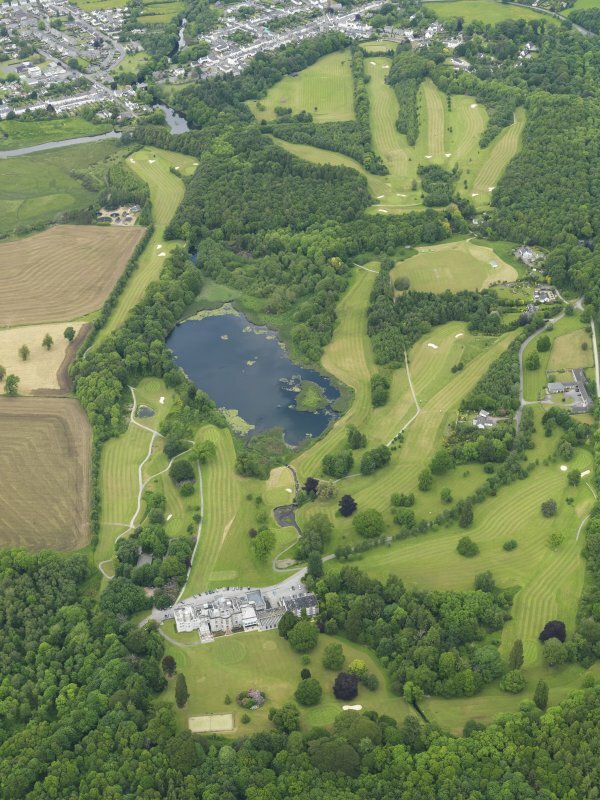 According to Robert Heron in 1792, 'Every deformity within these grounds is concealed, or converted into beauty by wood'. 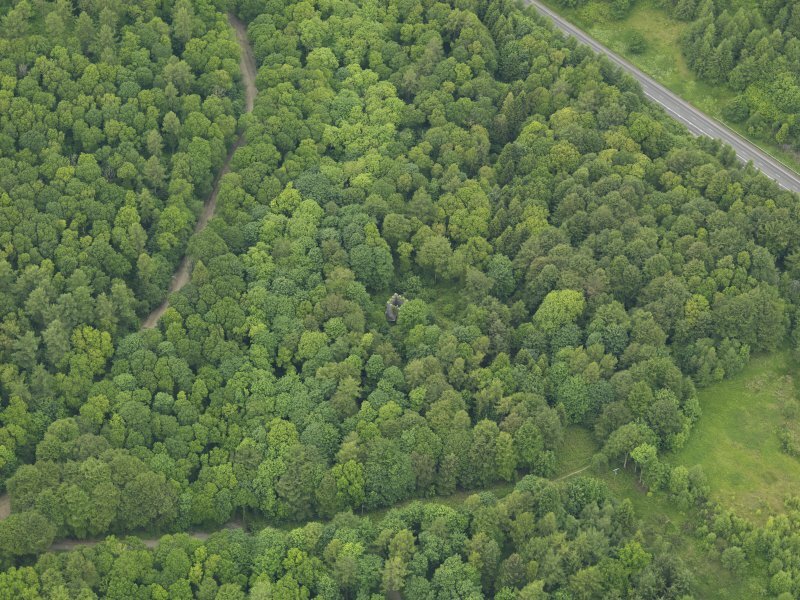 However, Loudon found the trees 'in many places too formal and unconnected'. More fundamentally, he declared the house to be incorrectly aligned: 'the entrance front is on the wrong side, and none of the windows of the principal rooms look towards the river'. To a professional, nothing can ever be quite perfect!